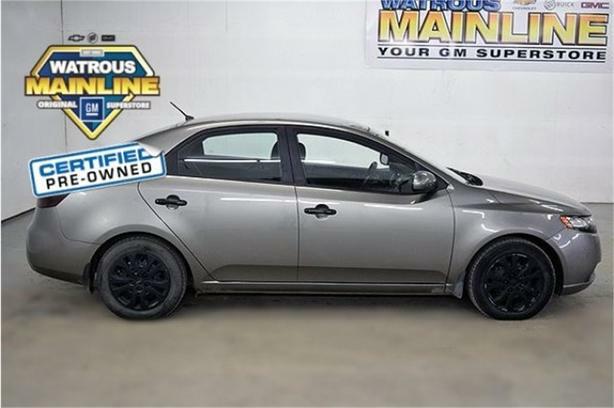 Look at this certified 2013 Kia Forte LX Plus. Its Automatic transmission and Gas I4 2.0L/122 engine will keep you going. This Kia Forte has the following options: Visor vanity mirrors w/extensions & driver-side ticket holder, Ventilated front/solid rear disc brakes, Traction control system, Towing & lashing hook, Tinted glass, Temporary spare tire, Roof-mounted micro antenna, Remote release fuel door, Remote keyless entry w/panic, and Rear child safety door locks. See it for yourself at Watrous Mainline Motor Products Ltd, 208 1st Avenue East Box 70, Watrous, SK S0K 4T0.